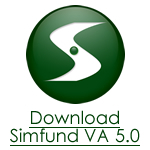 Strategic Insight is pleased to offer Simfund® VA version 5.0. This latest version provides our users with a comprehensive database and one of the most robust reporting tools to analyze the variable annuity industry. Easy to use and powerful, Simfund® VA is the most efficient tool for navigating through variable annuity data. The data and features place valuable business intelligence into the hands of those who need it most. With our expansive list of Morningstar and Lipper data, you can perform highly sophisticated analysis of fund and sub-account performance. The updated interface is easy to use: the "View" feature offers a simplified way to separate out the fund and sub-account universes, an on-the-fly dictionary gives field definitions with a click of the mouse, and the updated "Easy Select" screen allows you to perform more relevant searches. Features such as new prospectus data, the capability to import ICI Confidential data, and prospectus links make SIMFUND® VA 5.0 the best analytical tool to support your initiatives in the VA industry.